The Concepts Team at Myplanet explores projects focused on sparking innovation in the workplace. With a keen interest in emerging technologies, our work maps trending technologies to real-world use-cases. For our most recent concept, we tackled the retail workplace. Using Watson’s IBM Visual Similarity Search microservice, we prototyped an AI-driven online style finder to identify customer tastes and facilitate more meaningful in-store interactions between customers and store associates. Fashion is a deeply personal choice. Apparel purchasing decisions are made on an emotional level and the abundance of options only adds to the burden of choice for consumers. Using machine learning, how might retailers better understand apparel tastes to help customers make more personally-relevant purchasing decisions? And how can we bring the benefits of the online commerce experience back into the bricks and mortar space? We created the Stylefinder to explore these questions. 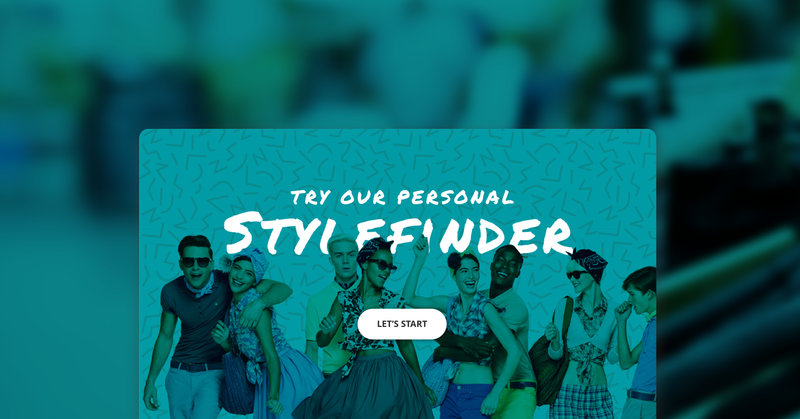 The Stylefinder employs IBM’s Watson AI to understand a consumer’s fashion tastes using data scraped from his or her Pinterest account. A personalized style profile is built and fashion recommendations are made based on the results. To drive business benefit, these recommendations can be shared with retail associates, to inform more relevant and personal face-to-face interactions in-store. The solution supplements (or in some cases, substitutes for) a store associate’s product knowledge and ability to provide effective recommendations, tailored to the customer. With the pursuit of a few different approaches, the final working prototype uses IBM’s image similarity matching tool to analyze a user’s social profile. In this case, Pinterest serves as the source for Stylefinder’s data. As a popular social platform that allows users to express their aspirational style sense, we felt Pinterest had particular relevance to the target user group and use case. Once the Pinterest boards are analyzed, the output builds a profile of the user’s style affinity, with appropriate inventory recommendations. From there, users can further refine their style profile using the slider adjustments and subsequently fine-tune the system’s fashion recommendations. Additionally, deeper system learning would be encouraged by using additional manual inputs. By giving users the ability to like or “X” out certain recommendations, the system learns from real user inputs that either confirm or negate the data set. By choosing to “X” a particular item, users teach the system what does not represent a specific style. In essence, we crowdsource additional data around apparel items, thereby surfacing things that are actually not popular or representative choices for fashionistas who identify with a certain style. With the aim of solving for workplace challenges, we wanted to extend the story of an AI-powered fashion recommender to improve the retail experience of brick-and-mortar stores. To do this, we built in a capability that would allow users to reserve their preferred items in a nearby store, allowing them to evaluate for fit, materials used, and other more tangible considerations outside the parameters of “style”. Not only does this give the customer a sense of empowerment and ownership over their choices, but it allows retailers to leverage the consumer insights around a customer’s personalized style profile to make more compelling in-store recommendations, bolstering opportunities for sales. Employee view of a customer’s style profile: Employees are are able to see reserved items made by customer and any related fashion recommendations. For the Stylefinder concept, we had the pleasure of having Vishnu Hari, Client Technical Solutions Consultant from IBM, on site. Vishnu, who has previous experience in fashion identification, helped identify some of the constraints and opportunities technologists face when applying visual recognition technologies to the fashion industry. Together with organizations like IBM, we’re excited to continue our exploration of real workplace challenges that cognitive services can help to solve. Stay tuned for more future concepts to come and behind the scenes articles looking at the team’s technical and design journey along the way. If you’re interested in joining the Myplanet team or learning more about what we do, check us out online here.